Bundle Deals — Always popular around the holidays, not just from Adorama but at Costco, Best Buy, BJ’s Wholesale Club, Sam’s Club, and just about every other store that sells Nikon and Canon DSLR’s. The bundles tend to be priced from 25% to 50% off the list price and usually include the camera body, one or two lenses, camera bag, and SD card. 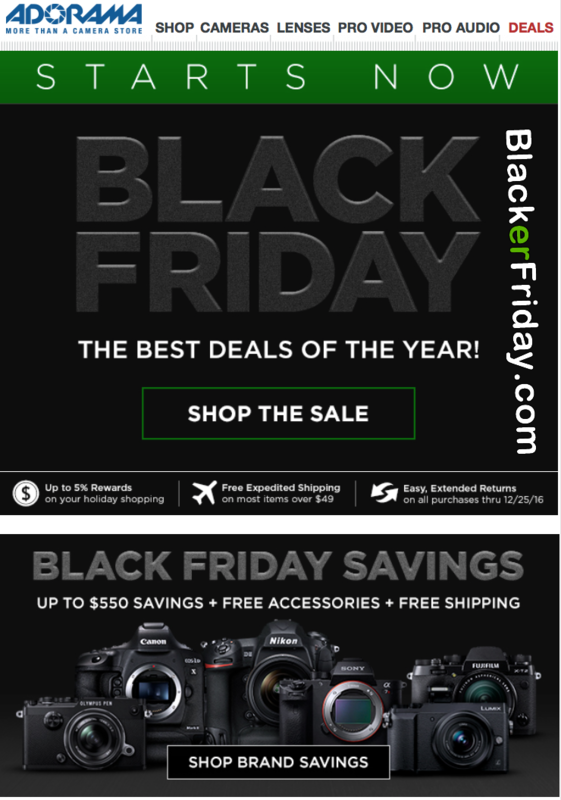 Last year’s ad mostly featured DSLR bundles… Last year’s ad is posted further down this page so you can see what those were. Camera Accessories — Adorama usually has an entire page of camera accessories on sale. Everything from tripods to memory cards, lenses to batteries. We’ve seen discounts at up to 80% off select doorbusters in the past. 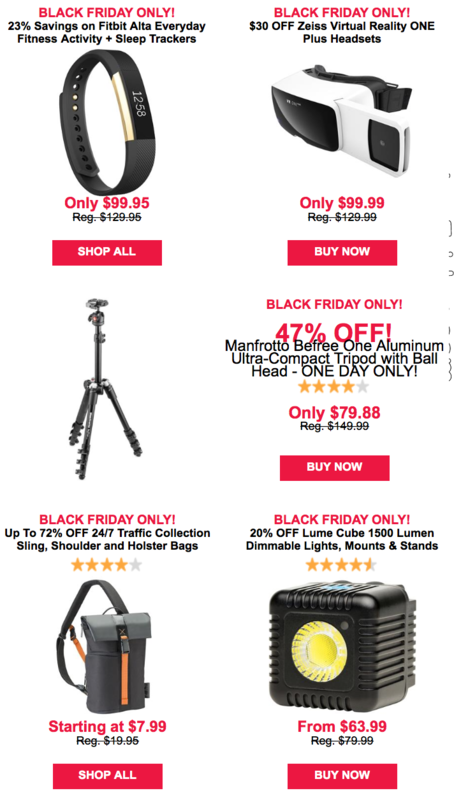 Non-Camera Items — You’ll find that Adorama typically has a few items selected from each of their major categories as featured Thanksgiving weekend specials. We’ve seen them offer the 15.4” MacBook Pro with Touch Bar for 34% off, a DJI Mavic Pro bundle for $200 off, and a G-Technology 1TB USB 3.0 Hard Drive for 31% off. 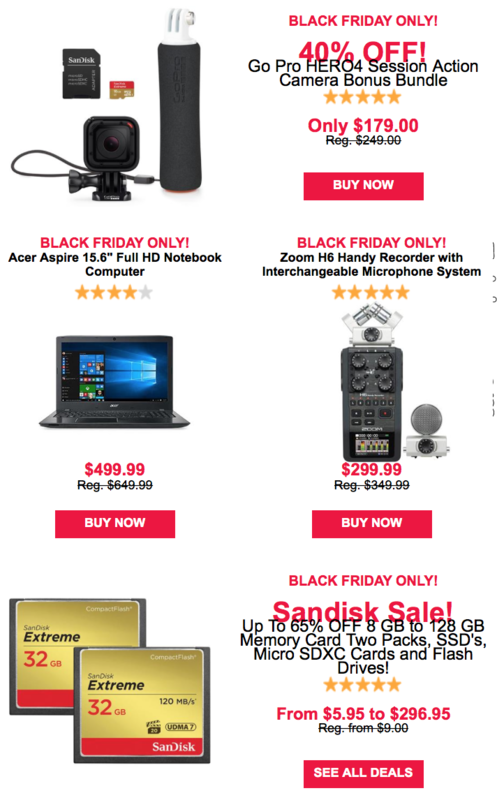 You can scroll down the page to see each one of Adorama’s Black Friday ads for the last 4 years to get a general sense as to what will likely come here in 2019. 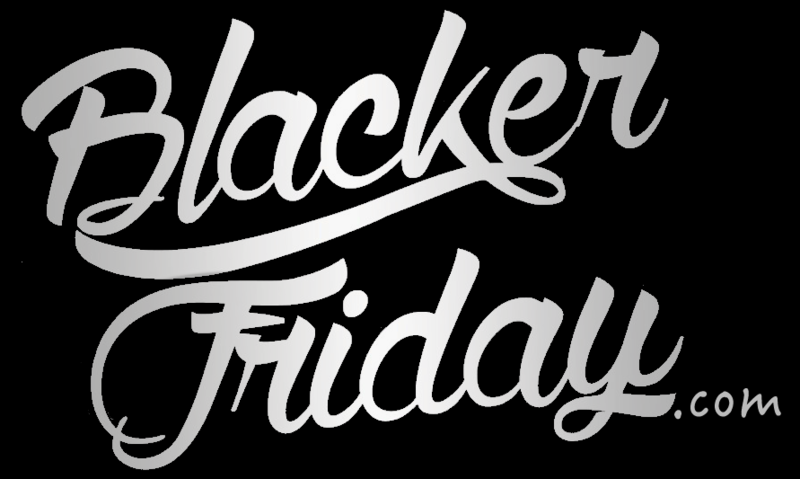 And before you go, we encourage you to you take a moment to sign up to our email newsletter… That’s assuming you’re interested in receiving early access to this year’s hottest Black Friday and Cyber Monday ads, rumors, and top deals for 2019. Happy bargain hunting! What do you plan on getting this holiday season at Adorama? Let us know in the comments section located at the bottom of this page! 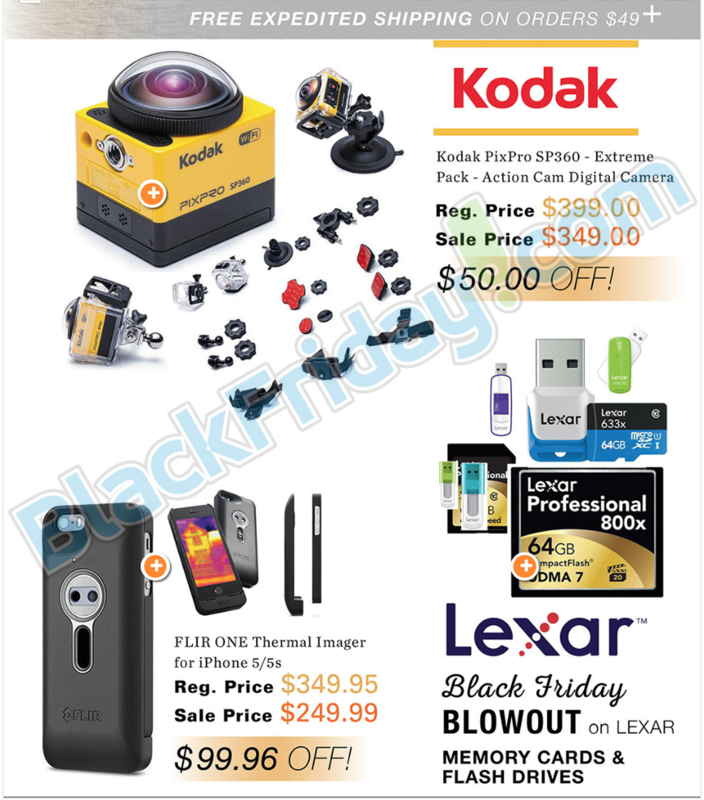 Updated on Thursday November 22, 2018: We just received a copy of Adorama’s Black Friday ad — Check it out below! 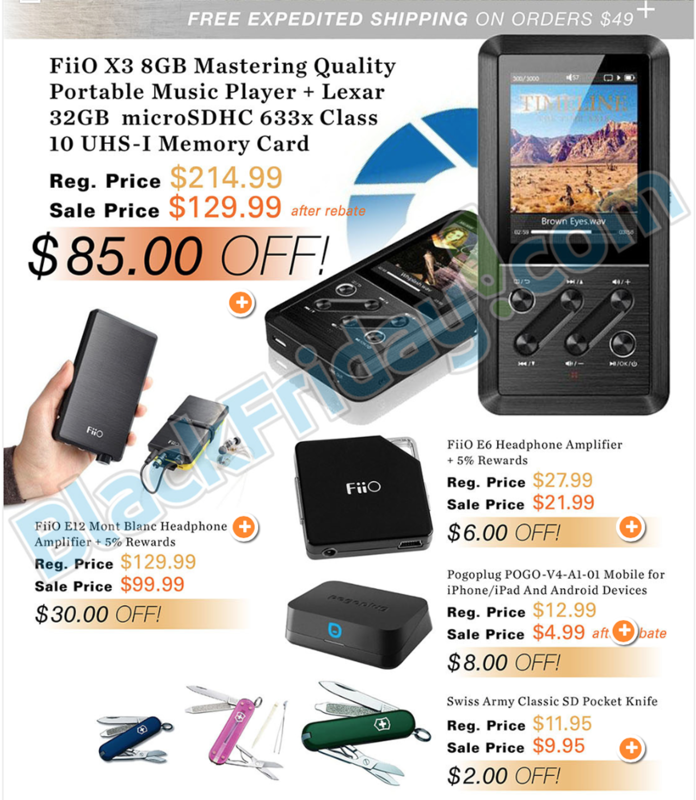 You’ll already be able to shop the deals starting today at adorama.com. Happy Thanksgiving and good luck bargain hunting this long weekend! You probably saw that Adorama had some pretty good bargains in the days leading up to Thanksgiving. But now, they’ve gone all-out with up to 80% off select doorbuster specials. But you have to be quick because you can expect some of their hot items to sell out before noon. We’ve posted the highlights of this year’s sale in the flyer below — Good luck! 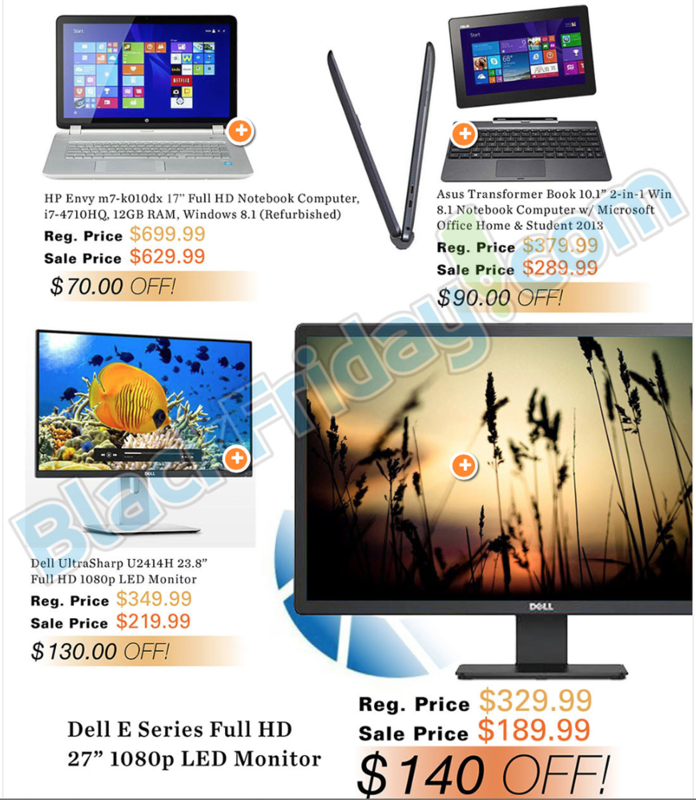 Updated November 25, 2016: Thanksgiving is now officially behind us and Black Friday doorbuster deals have begun! And that includes at Adorama. 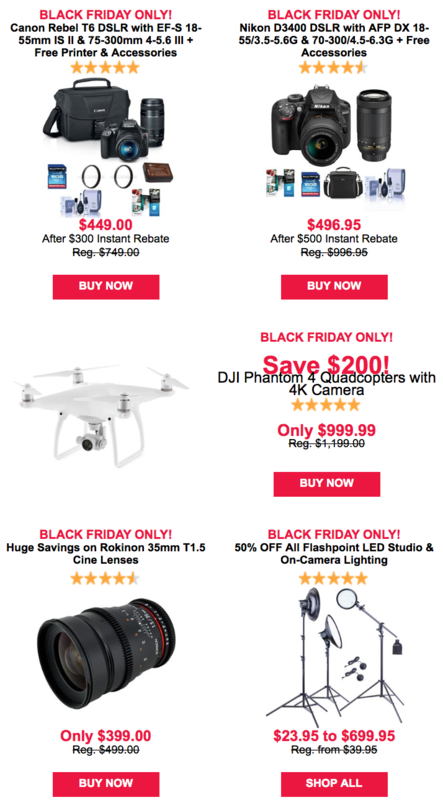 From Canon and Nikon camera bundles to Rokinon and DJI Phantom drones, there’s a lot going on this year. Check out the flyer page links for this year’s highlights: page 1, 2, 3, 4, 5. If you’ve been waiting until Thanksgiving weekend to pick up a new camera, then your wait is finally over. 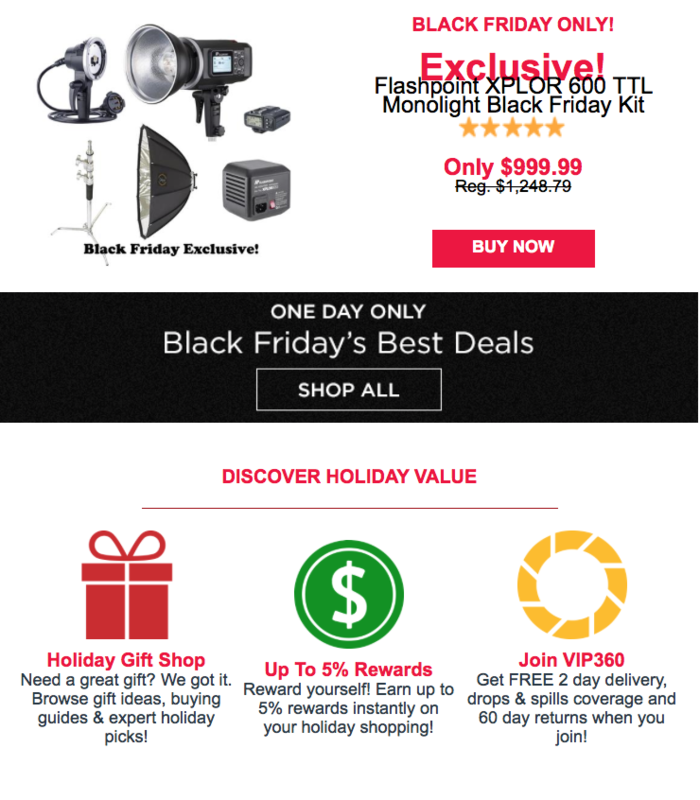 Adorama just launched their official Black Friday 2015 deals page with offers starting now and running all the way through Cyber Monday, November 30, 2015. There’s so much stuff on sale that it’s too much for us to list. From their main page you can browse the sale categories to see some of their highlighted deals on Canon and Nikon DSLR’s (up to $500 off! 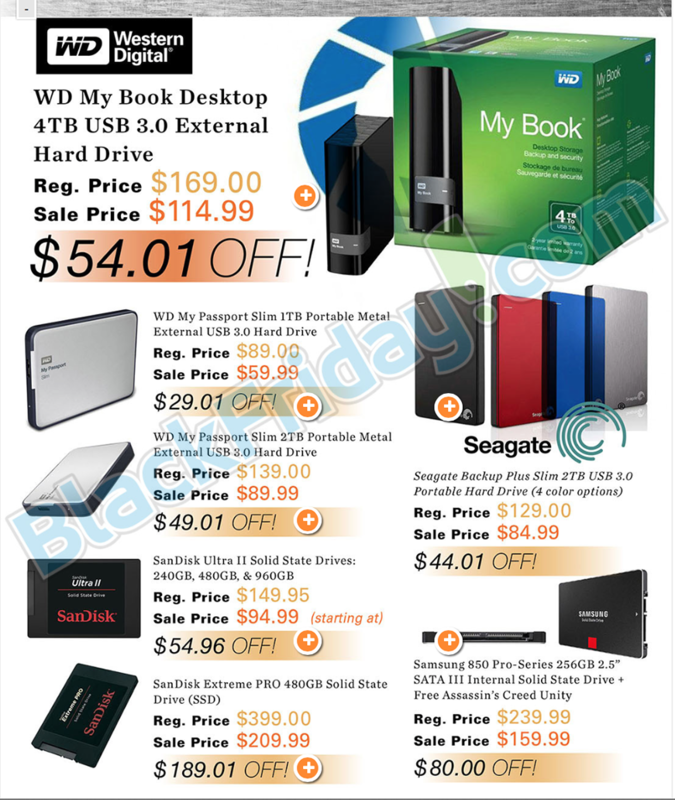 ), professional lenses, computers, home theater systems, camcorders, and a whole lot more. Free shipping is included on most orders and if you’re Rewards member, you’ll earn up to 5% back on your purchase. 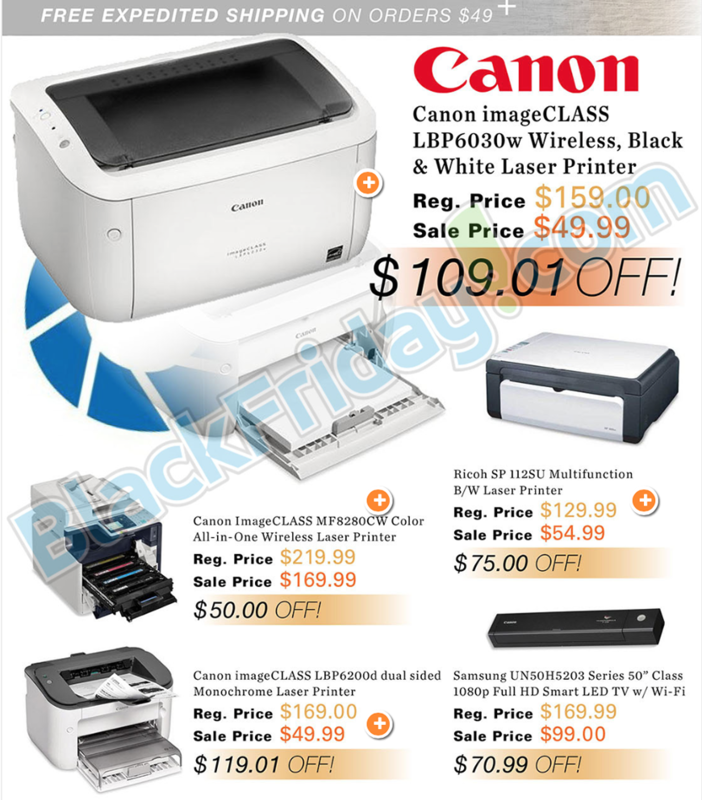 Last year the BF discounts started a few days before Thanksgiving and ran through Cyber Monday. 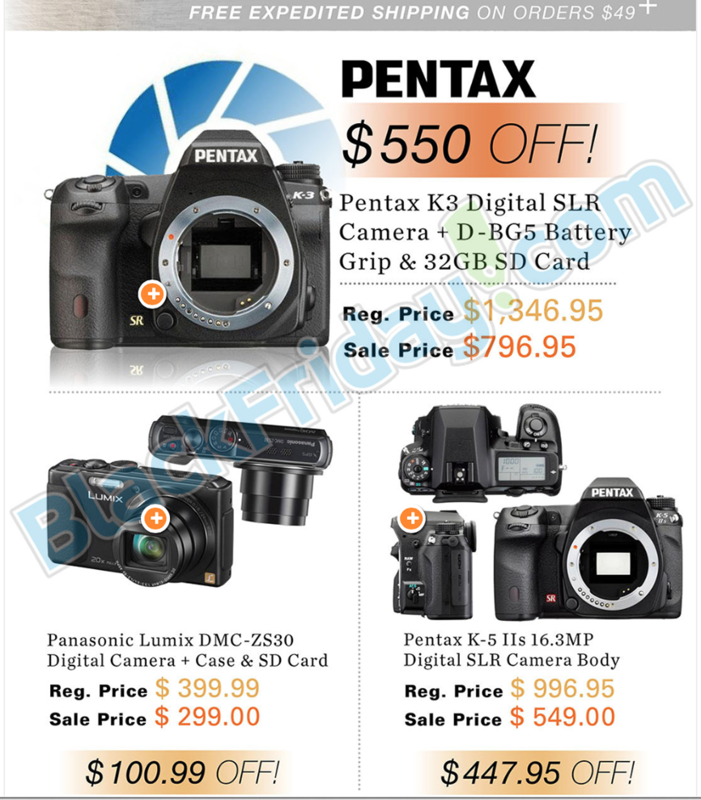 Adorama is known for their camera deals and if you were lucky, you could pick up a Pentax K3 SLR with battery grip and 32g SD card for nearly half price (from $1346.95 to $796.95). 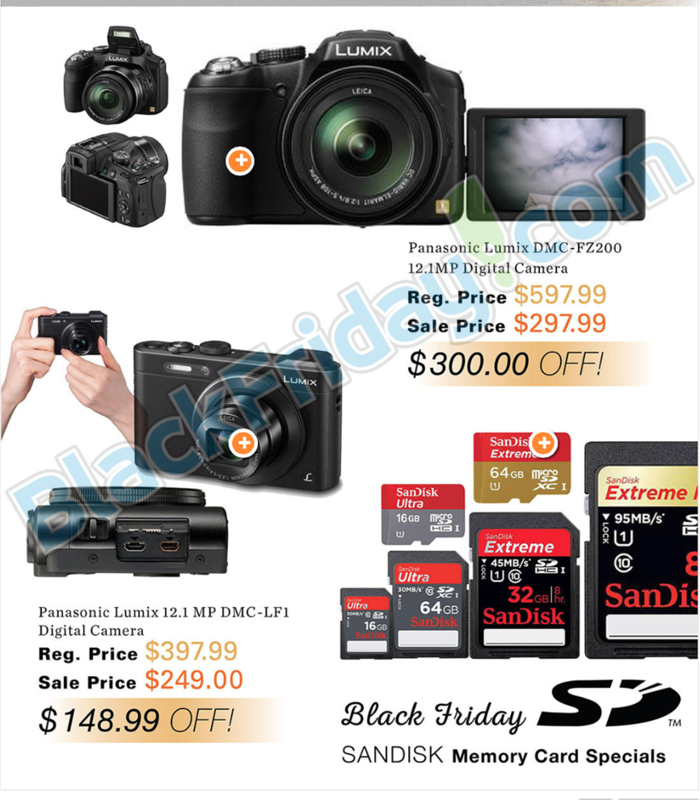 They also had some of their mid-range Lumix digital cameras for over 50% off the list price with their 12.1 mega-pixel cameras for as low as $249.00. Extra savings were also available on just about all lenses and memory cards as well, with free shipping storewide on all orders above $49.00. Besides cameras, laptops dominated this year. 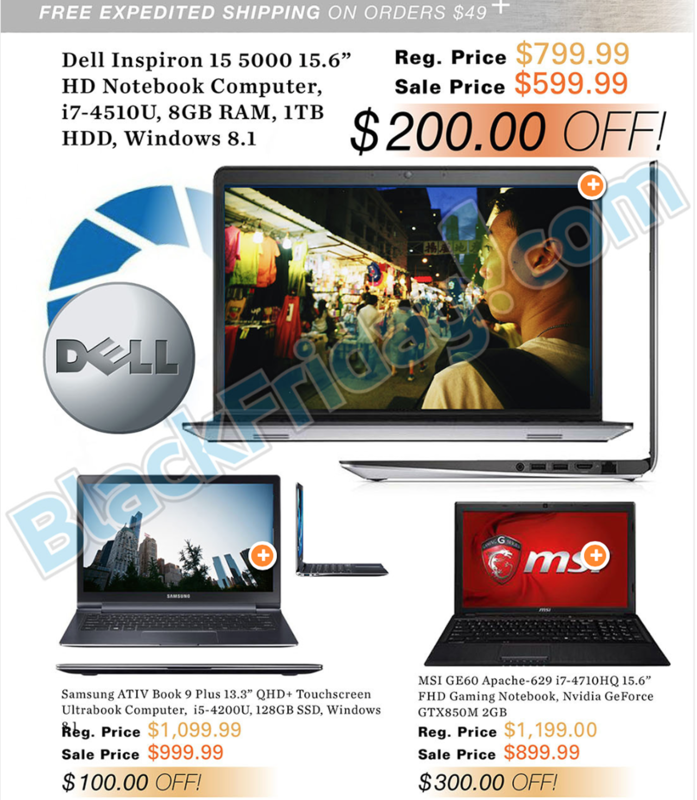 You could pick up a new 15” Dell Inspiron for $200.00 off for $599.99. It had an Intel i7 processor, 8 gigs of ram, and a 1 TB hard drive (this one sold out pretty early). 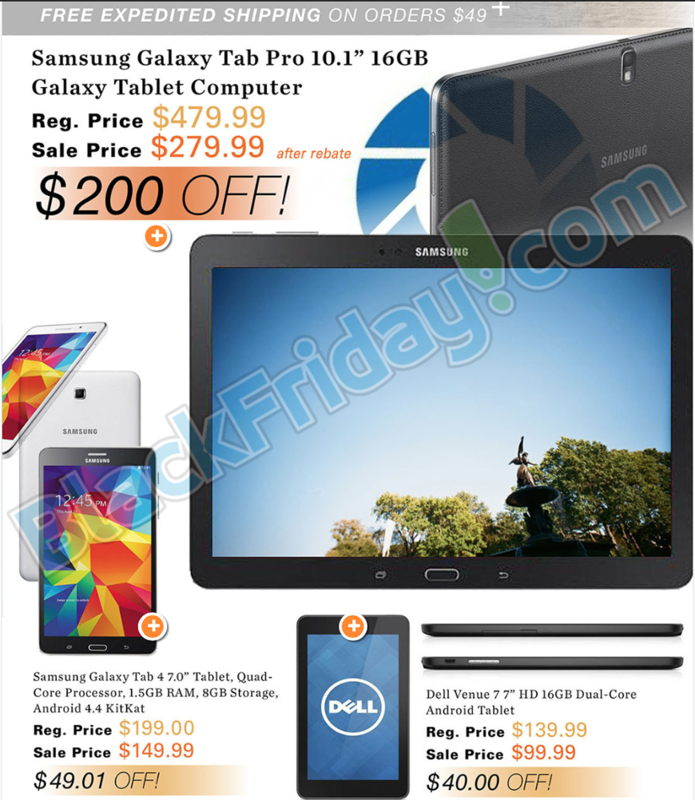 They also had Samsung’s new ATIV touchscreen notebook for $100.00 off as well as MSI’s massively packed GE-60 Apache 629 for $300.00 off (made for gaming). Some pretty nice desktop monitors were also on sale, but the prices seemed to mirror those at Best Buy and Amazon over the Black Friday/Cyber Monday weekend. Finally, if it was time for you to upgrade your TV then you really couldn’t go wrong this year. They had a bunch of different Samsung’s on sale ranging from 40” to 75”. 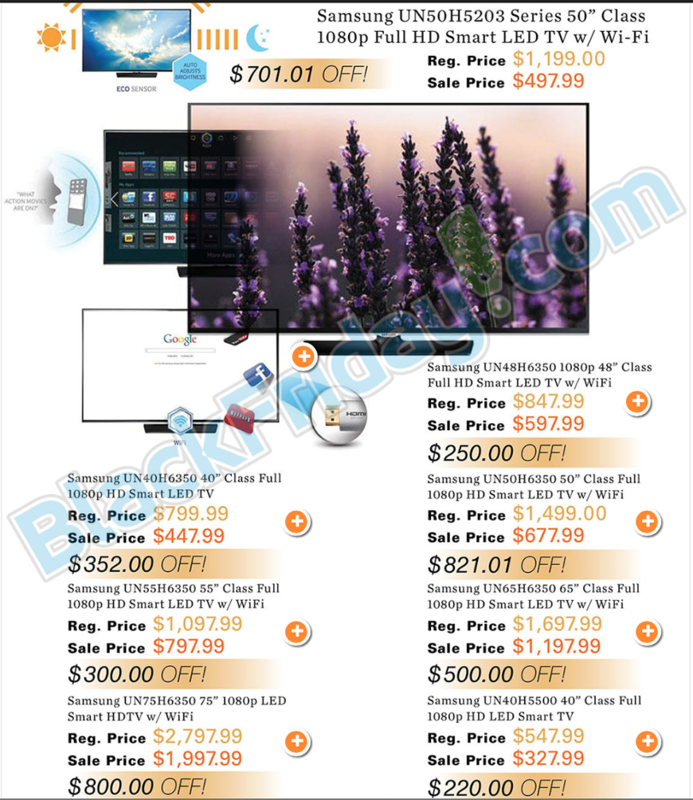 Our favorite was the Samsung 75″ 1080p LED Smart HDTV (model UN75H6350) that was on sale for under $2k! It’s hard to believe how cheap these premium sets have become. If you were looking for something a little bit smaller, a very nice Samsung 55″ Class Full 1080p HD Smart LED TV, with a Quad-Core Processor, USB, and built-in Wi-Fi was on sale for just $797.99 from a list price of $1097.99. 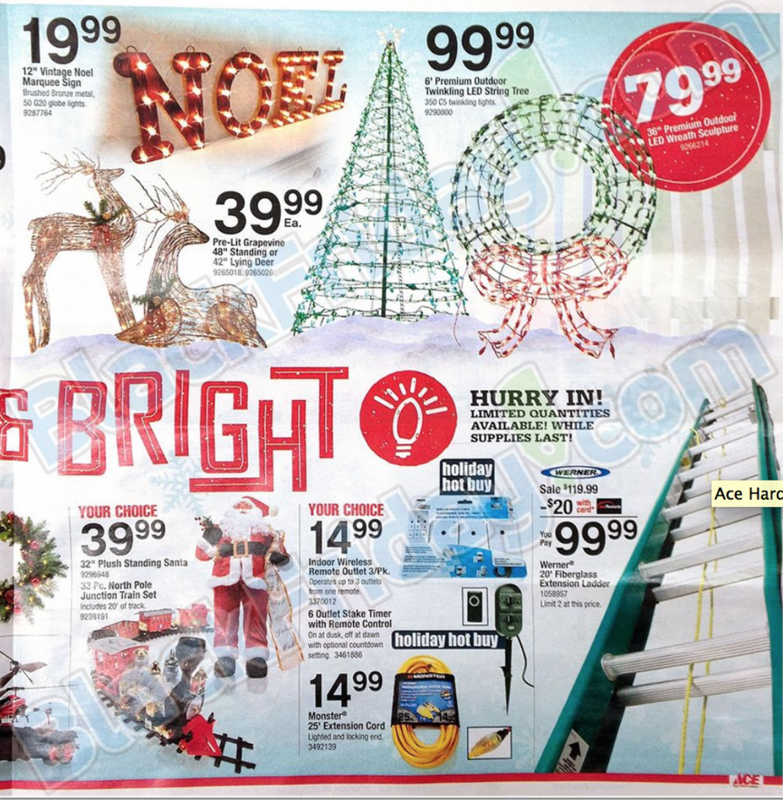 Here are some of the highlights from the Black Friday ad: Page 1, 2, 3, 4, 5, 6, 7, 8, 9, 10, 11, 12. 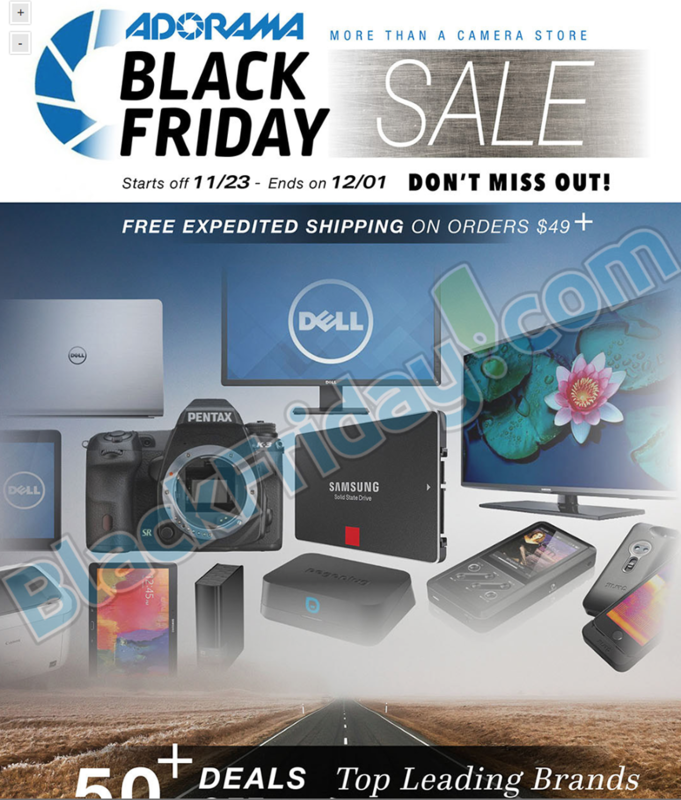 Most of the Black Friday deals from Adorama do not require any coupon codes but some deals had attached mail-in rebates which you need to send in to get the full discount. Also, a lot of the doorbuster sale items have very limited quantities available on hand and typically sell out within the first few hours of going live. We always recommend that you put together a good shopping plan for each of the sale days over the weekend before you head out the door and start the moment the stores open to ensure you don’t miss out on the rings you plan on getting. Adorama: Helpful Links & More!